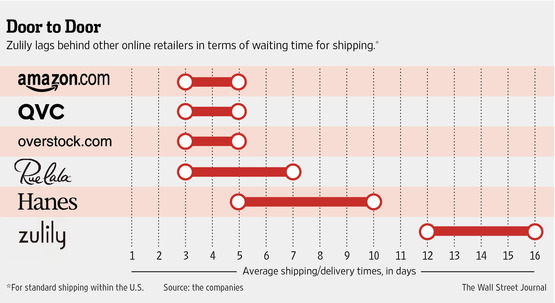 Why would an e-commerce firm settle for slow shipping? The buzz in e-commerce has been all about speed. 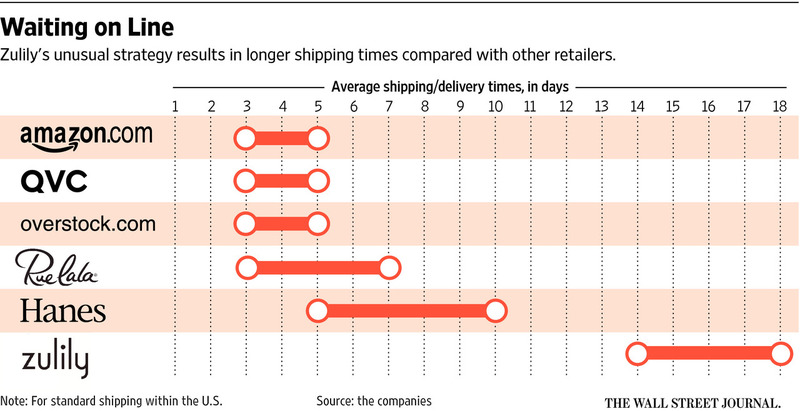 Firms from A to Z (or at least from Amazon to WalMart) have been trying to wring time from their distribution systems. Indeed, just yesterday Google announced it was expanding its Shopping Express same day delivery service. So what are we to make of Zulily, an e-tailer that routinely takes its sweet time to ship stuff?